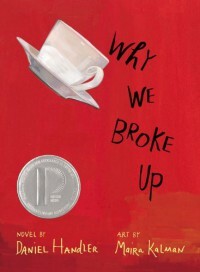 Why We Broke Up - Daniel Handler, Maira Kalman - review - Always Carry a Book! I actually really enjoyed this book. The storyline was simple, nothing unexpected ever happened, we’re even informed at the beginning of where the story is headed and what will happen. But it kept me reading all the same because the journey toward the two protagonists breakup was just so captivatingly and emotively written, i was laughing and sighing and heartbroken along with each character. 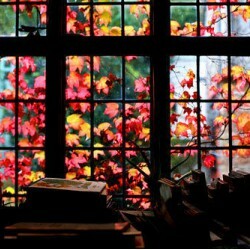 Which is really what makes a great book in my opinion. I loved Handler’s writing style, I loved Snicket’s in ASOUE as well. There were some things that could’ve been improved, which is why I haven’t given it 5 stars. I did think some scenes weren’t too interesting and dragged on too long, and some of the intentional repetition got a little irritating. Also, some of the foreshadowing was unnecessary and may have been better left unwritten. Oh, and the mushiness, uck! I guess it’s realistic though, with it being teenage love and all lol. Overall, it was a very atypical book about a very typical teenage breakup story. The quirky, unique way the story and characters were written is what made it a great read for me.